After spending a week in Afghanistan, a whole lifetime there is hard to imagine. When I finally boarded the flight at Kabul for Delhi I felt, once again, like I’d emerged triumphant from a battle. It’s just a 15-minute drive from my hotel to the airport, and an almost two flight on to Delhi. But the whole process still ends up taking more than six hours. 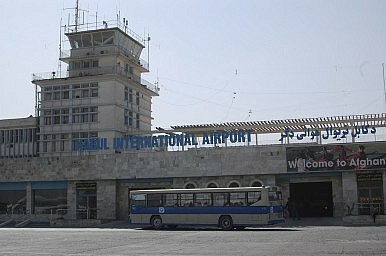 The security checks at Kabul airport start about 500 meters from the airport itself. First you are frisked, and then about 200 meters later you’re frisked again. Before being allowed to park, all your luggage has to be screened, which means unloading and reloading everything. At the parking area, porters wait with trolleys to carry your stuff inside (there’s little chance of finding a trolley on your own). The next step is the airport compound, but you can’t walk there yourself—the bus is mandatory. At the entrance to the terminal you’re patted down again and your luggage scanned. After immigration, another scan and after being patted down again it’s with a great sense of relief that you can finally head to the departure lounge. I had an added rain-induced delay of two hours before an old, overcrowded bus ferried me and my fellow passengers to the plane waiting on the tarmac. Just before boarding we were asked to identify our rain-soaked luggage before a final frisking and check of our hand luggage. The Taliban, and terrorism generally, have had an enormous effect on the psyche of Afghanistan—nothing seems normal there. Just a week there left me stressed. It can’t help but make me wonder what it’s like for those that have had to live their whole lives there.